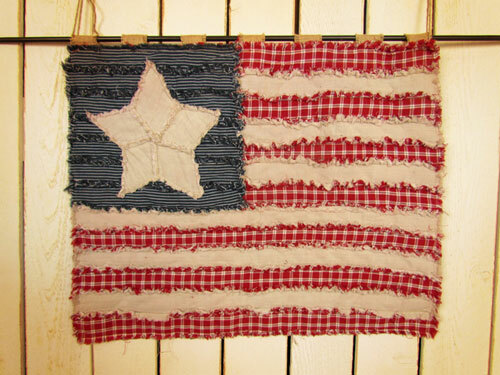 So, with Michael's permission, we decided to do a tutorial for something similar -- a ragged style Americana Flag Wall Hanging (pictured above). I love this soft, cottage style decor for the summer months! You can read a full tutorial with pictures and instructions on our Rags-n-Rhinestones blog. 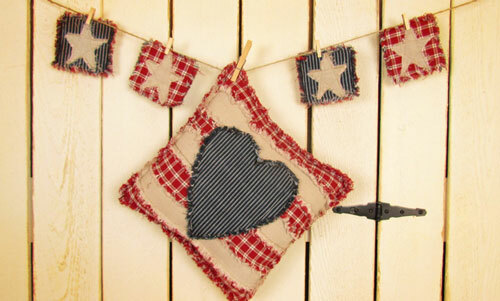 Homespun fabric is highly recommended for this shabby ragged project. Regular cottons just do not fray as well and the end result will not look like the pictures here. Our shopping site: www.JubileeFabric.com offers over 150 homespun fabric options.